If indeed Vincenzo was in Rome around 1763, he appears to have returned to Naples by the birth of Joseph around 1768. Soon thereafter Vincenzo was on the move again, and we next find evidence of him in France. A boxwood oboe branded ‘Vinc. 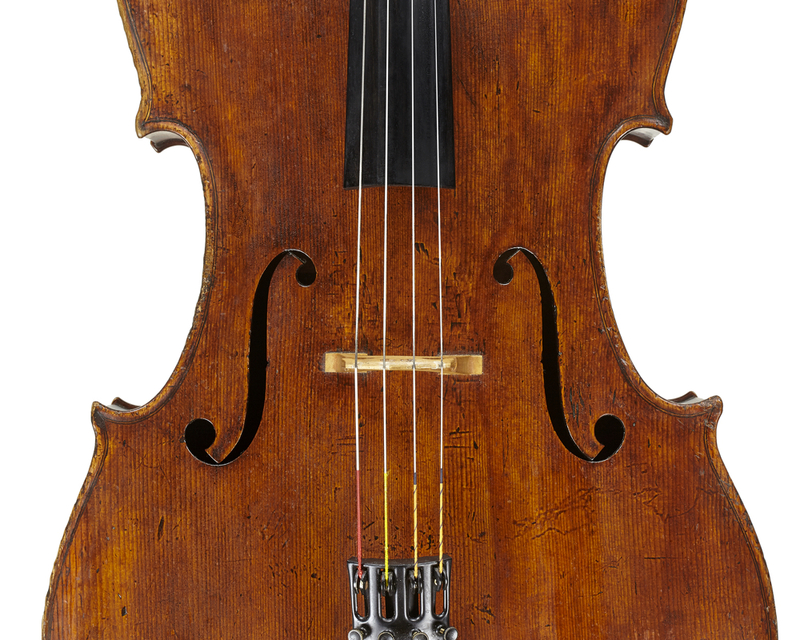 Panorm: a Marseille’ makes an interesting pairing with a violin recorded in the Hill Archives of the Ashmolean Museum, Oxford, labelled ‘Vincenzo Panormo/fece Marsiglia anno 17**’ and bearing the same brand as the oboe on the upper back (the violin itself has since disappeared). Perhaps this suggests the direction travelled to Paris, Vincenzo’s next destination, was the well-established sea route from Naples, via Livorno and Genoa, to Marseille. Before the advent of railways this journey would have been much easier by sea than over land using the few passable roads. Vincenzo probably arrived in Paris around 1770 (the date is surmised from Edward Ferdinand’s statement that the family moved from Paris to London in 1772). Although some work may have been available, it might not have been easy to find. Foreigners, and sometimes even those born outside the city, were ineligible to join any of the Parisian guilds, which sought to monopolise the production of all goods. Vincenzo would have been forced to work in one of the lieux privilégiés (places of privilege) to be found in the suburbs of most major cities and nominally outside the jurisdiction of the guilds. 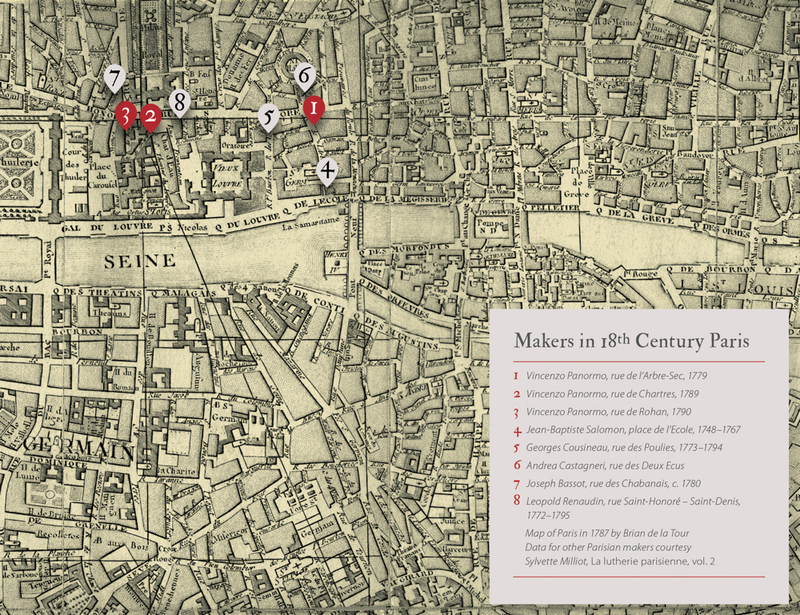 The best known of these lieux privilégiés in Paris was the Faubourg St Antoine, home to hundreds of carpenters and cabinet makers and where Nicolas Pierre Tourte began his career as a carpenter before declaring himself a luthier in 1742. 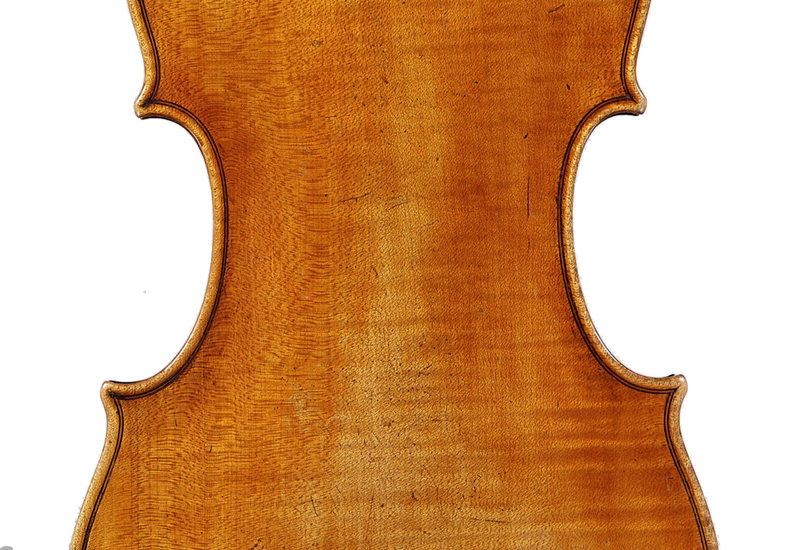 The power of the guilds may also go some way to explain the distinctive type of spruce used in Paris during this period, including on some of Vincenzo’s instruments. Nevertheless, working in these areas was not without its difficulties as the chambrellans, or false workers, were considered by many guilds to undermine their monopoly and were often subject to searches by the authorities. One guild repeatedly confiscated the materials of the piano maker Sébastien Erard because he was perceived as a threat to its members who were harpsichord makers. Perhaps under such circumstances Vincenzo experienced hardship as, according to his grandson Edward Ferdinand, he moved his young family to London in 1772. He arrived just as the city was developing into a major musical centre fuelled by growing patronage and the rise of public concerts resulting in abundant opportunities for musicians. 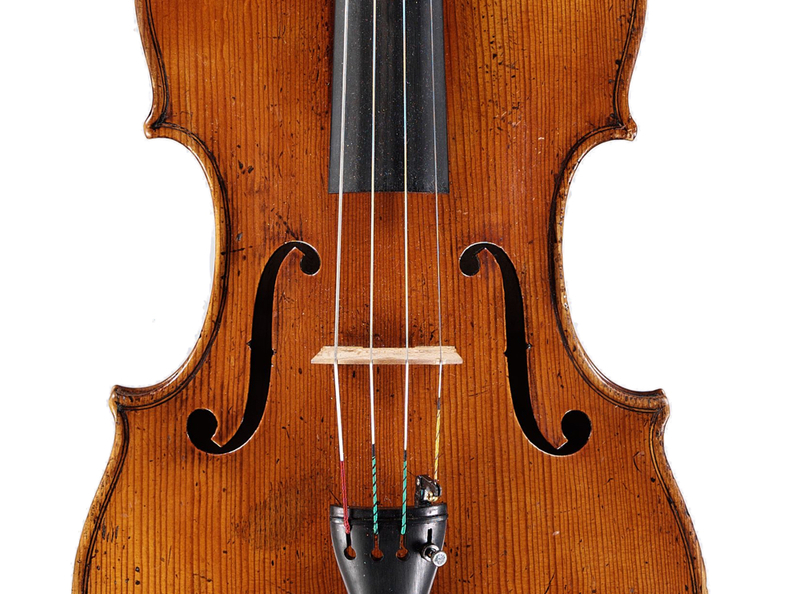 Vincenzo was by now a highly proficient maker judging by a fine viola bearing a manuscript label dated London 1774. Further evidence of his move to London is the burial of a child, presumably an unbaptised baby, simply noted as Trusiano Panormo, on 7 November 1774 at St Martin in the Fields. Vincenzo’s third son George, who did survive, must have been born two years later in 1776 judging by his age on later census returns and an early label he signed at the age of 14. Also in 1776, ‘Panormo’s Music Shop’ in Little Newport Street, Soho, is mentioned in the Memoirs of Dr Charles Burney, while in the same year the shop was advertised as a source of music in ‘The New Morning Post & General Advertiser’. Now at the heart of London’s Chinatown, Little Newport Street was originally in the parish of St Martin in the Fields before being transferred to St Anne’s, Soho. The area was developed towards the end of the 17th century, after the demolition of Newport House, and attracted a large number of French Huguenots, to the extent that one commentator described how in many areas ‘it is an easy matter for a stranger to fancy himself in France.’ It rapidly became a community of small businesses, described in 1720 as a ‘Place of good Trade’, with numerous French restaurants and cafes, as well as being the only part of London to produce its own French language newspaper. For Vincenzo, arriving from Paris, this must have seemed a natural district in which to settle, especially as many of his new neighbours would have been craftsmen, in particular goldsmiths and jewellers, as well as a number of painters. An added incentive would have been the growing population now living outside of the old City of London, allowing trade to continue unhindered by the counterparts of the French guilds, the City of London livery companies. Although as late as 1782 John Betts was required to seek permission from the City of London authorities to employ two non-freemen, the livery companies were gradually losing influence, while in France the centuries-old structure of labour that may have contributed to Vincenzo’s departure was dramatically overturned. In February 1776 the Controller of General Finances in France, Anne-Robert-Jacques Turgot, issued his Six Edicts, intended as part of an ambitious programme of social reform and deregulation of working practices that included the abolition of the outdated guild system. This brought about a wave of disorder, Turgot was dismissed by Louis XVI and the guilds were re-established in August the same year. However, this was not just a simple reversion of policy: although in Paris this reorganisation proceeded slowly, the power of the guilds was significantly reduced, resulting in far greater accessibility to trades, and with many becoming open to women and outsiders for the first time. Several, including the Company of Musical Instrument Makers, were forced to amalgamate with other guilds. Meanwhile in London the Catholic Relief Act of 1778 brought about a wave of anti-Catholic sentiment that resulted in harassment and attacks on their properties, culminating in the Gordon Riots of 1780. Perhaps this, combined with the relaxation of the guild system in France, was the stimulus for Vincenzo to return to Paris, for on 5 October 1779, along with François Pique, he was received as a Maître tabletier et luthier in the Classe des nouveaux Maîtres of the Communauté des Maître et Marchands Tabletiers, Luthiers, Éventaillists de la ville, Vinz & banlieue de Paris, his address given as rue de l’Arbre-Sec. Vincenzo’s son Francesco may have continued his involvement with the workshop in Paris, but he also began a career as a musician, the first indication of this being his appointment in 1780 as a flautist at the Grand-Danseurs du Roi, the hugely successful theatre run by Jean-Baptiste Nicolet on the boulevard du Temple. This is also the year that Vincenzo’s violins bearing the coat of arms of Palermo on the label start to appear, perhaps by now made with the assistance of the 12-year-old Joseph. 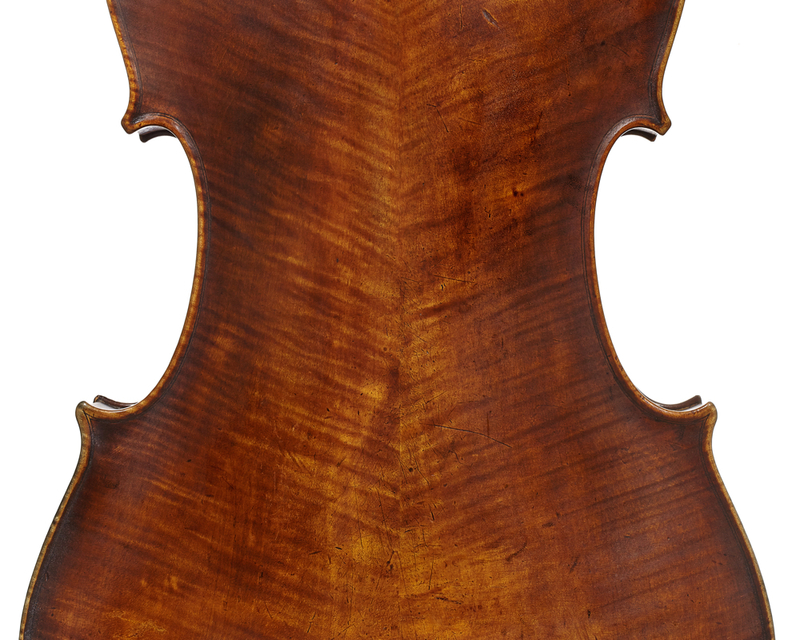 When Vincenzo had first visited Paris around 1770 the ‘vieux Paris’ style of making influenced by Amati and Stainer and epitomised by makers such as Louis Guersan and Jean-Baptiste Salomon still prevailed, but by 1779 the Stradivari model was in the ascendancy and becoming apparent in the work of several makers, including those arriving in Paris from further afield, such as François Fent, Léopold Renaudin, François Pique – and Vincenzo Panormo himself. Once in Paris Vincenzo appears to have continued his involvement with woodwind instruments, although whether producing them himself or acting as an agent for the family in Naples is unclear. In March 1781 Longman & Broderip in London announced in an advert that they had imported from Paris ‘a fine toned Serpent and Hautboy by Mons Prudent and Mons Panormo’. Prudent Thieriot was apprenticed to the leading French woodwind producer Charles Bizey and became a renowned flute and clarinet maker. The tone of the advertisement implies that customers would be familiar with both brands. Seven months later 18-year-old Francesco was promoting the Panormo name 400 miles away in Milan. According to di Stefano, in October 1781 Francesco advertised in the Giornale Enciclopedico di Milano that ‘he makes oboes, flutes, clarinets and other similar instruments in a definitely new, skilful, way for a reasonable price…’ Francesco may have travelled alone to Milan but the Parisian researcher Catherine Marlat has discovered that in 1782 Vincenzo was registered by his guild as absent, suggesting that he may have accompanied Francesco. 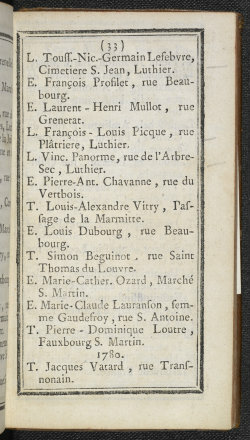 Whether this was a failed attempt to establish themselves in Milan or simply a business trip to promote their instruments, the visit appears to have been a brief one as Vincenzo is once again listed, without an address, in the Parisian Almanach Musical of 1783. 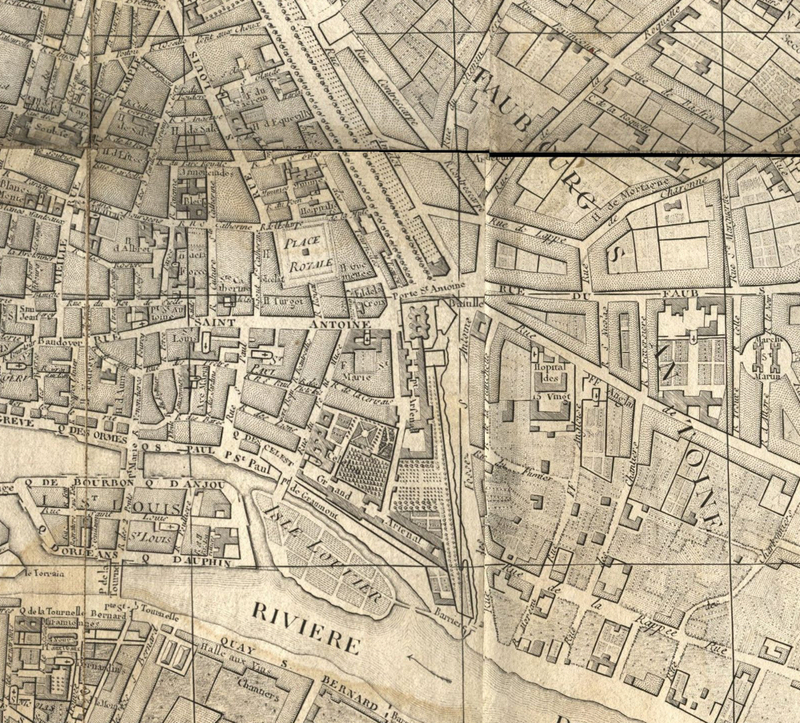 On his return Vincenzo may have settled in the rue de Chartres, a short distance west of his former address in the rue de l’Arbre-Sec and close to several established workshops (see map). He is recorded there in the Almanach of 1789 and the following year is registered in the adjacent rue de Rohan. Both these streets had been created in 1780 (making the many labels quoting these streets before this date quite spurious), meeting at their southern end in the Place du Carousel, where the guillotine was placed in August 1792. Perhaps significantly in terms of Vincenzo’s choice of address, they were located on the site of the former Quinze Vingts lieu privilégié to which Nicolas Léonard Tourte had moved his workshop after the death of his father, Nicolas Pierre, in 1764. Vincenzo’s youngest son, Louis, was born in Paris in 1784 or 85 and was baptised with the name of the French king, Louis XVI. Curiously, two of his elder brothers also seem to have been named after the ruling monarch: Francesco appears to have been born in Rome, when Frances I was Holy Roman Emperor, while George was almost certainly born in the reign of George III in the parish of St Martin in the Fields in 1776 (he claimed to have been born in ‘foreign parts’ in the 1841 London census but amended this to ‘native of St Martin’s’ ten years later). Perhaps this was a conscious attempt at integration by Vincenzo? Francesco, now known as François (he apparently altered his name to fit in with his location), continued his musical career outside the family workshop, publishing six duets for flutes by 1786, but within a few years the family were once again uprooted. Francesco maintained in a later interview  that his father was doing well in Paris but was forced to flee the city after the outbreak of the French Revolution in 1789. The Panormo family had certainly returned to London by 1791, just as legislation was passed in Paris enabling the authorities to confiscate the possessions of immigrants. Indeed, Vincenzo’s second period in London coincided with the turmoil created by the conflict between Napoleonic France and the other European powers. They were joined by a flood of refugees from France, including the greatest violinist of the age, G.B. Viotti, condemned because of his royalist associations. A rare manuscript label inside a cello dated 1791, the handwriting of which has been authenticated to be by the same hand as the 1774 viola label, confirms Vincenzo’s return to London. Meanwhile a vox umana branded ‘Vinc/Panorm’ and ‘Patent’, considered by the Musée de la Musique in Paris to have been made at the end of the 18th century, suggests he also continued to make woodwinds. In England the vox umana was made as early as the 1730s by Stanesby Jr and became popular in the opera orchestras of Rome and Naples. George Burney must therefore have been familiar with the Panormo name in Naples as well as London after he recorded hearing the vox umana on his visit to Naples 1770, where the foremost woodwind maker was recognised as Vincenzo’s brother Giovanni. In part 3, Andrew Fairfax discusses what we know about Vincenzo’s period in Ireland, his return to London around 1800 and how his sons fared after his death in 1813. Lot 80, Sotheby’s Important Musical Instruments Auction Catalogue, London, 21 June 1984. Richard Harrison, The Panormo Family, The Musical Opinion op. cit. Peter Ratcliff’s dendrochronology testing of Panormo’s Paris instruments found several very strong correlations with wood typically used in France in the 18th century. This is probably because the Parisian guilds strictly controlled the supply of wood for instrument makers. One possible source for this wood was the region of the Massif des Vosges in France. Fanny Burney (ed. ), Memoirs of Dr Burney, Edward Moxon, 1832. The New Morning Post and Daily Advertiser, 25 November 1776. Peter Ackroyd, London, The Biography, Chatto & Windus, 2000. Jerry White, London in the Eighteenth Century ‘A Great and Monstrous Thing’, The Bodley Head 2012. Michael P. Fitzsimmons, From Artisan to Worker. Guilds, the French State, and the Organisation of Labor, 1776–1821, Cambridge University Press, 2014. John Hunt, Jurors of the Guild of Musical Instrument Makers of Paris, Galpin Society Journal, 1998. The Morning Post and Daily Advertiser, 16 March 1781. Unknown author, The History of Paris, from the earliest period to the present day, vol. 3 (reprint), G.B. Whittaker, 1825. Sandys and Forster, History of the Violin, op. cit. Burgess and Haynes, The Oboe, Yale University Press, 2004.